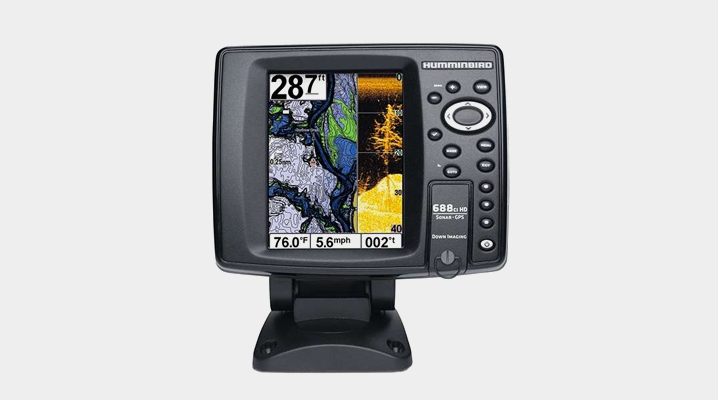 Humminbird 688ci HD: This powerful fish-finder features an ultra-bright 5-inch high definition display for displaying clear photo-like images of the water below you, and gives you the ability to capture waypoints and maps as you fish. Imagine a fish-finder that comes with three preset buttons, that when programmed, can enable you to save your favorite views. In case you didn’t know, the Humminbird 688ci HD gives you all these features and many more. It has, among other features, an internal GPS combo, and a dual-beam plus sonar with a peak to peak power 4000 watts to make your fish-finding exercise a walk in the park. 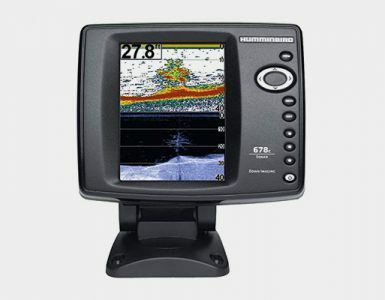 The Humminbird 688ci HD comes with a 5” high definition screen that is back-lit for easy viewing even in dark spots. The screen is colored, unlike in many fish-finders that feature monochrome or greyscale displays. Images that are displayed by this device are far much clear and easy read. The display has a maximum resolution of 680 by 480 pixels. This fish-finder features a technology known as SwitchFire that gives you a sharp and real time view of fish and structures below your fishing vessel. The look is customized, with two different modes, clear mode and max mode. Clear mode gives you a more clear image of fish or/structure beneath, thanks to noise filtration and particle suspension capability in that mode. On the other hand, max mode has the capability to show incredible detail as well as facilitate easy lure monitoring. Another excellent feature that comes with this device is the ability to track speed, chart up to 45 routes and mark up to 2500 points of interest with just a push button. The powerful hummingbird fish finder uses a DualBeam Plus sonar that uses a low frequency 50kHz beam that reaches maximum depths of 1500 feet. One of the beam is quite narrow thus optimized to deliver a detailed view of the bottom and structure below your fishing vessel. The other beam has wide viewing angles hence giving you a wider view for you to search for fish and structure around your vessel. The device then combines the two views to produce a great comprehensive view. All this is made possible by a peak to peak power of 4000 watts. One of the most important factors to consider when fishing is temperature. The 688ci HD comes with a transducer that has an integrated temperature sensor that keeps you constantly updated on water temperature levels, helping you to make precise decisions on the best fishing grounds. The device has three programmed keys that help you capture three of your favorite spots. Also, the ‘Goto’ button enables you to use quick access features without having to go through the menu option. If you wish to refer to written instructions, a user documentation is available for you. Installation also is quite simple. 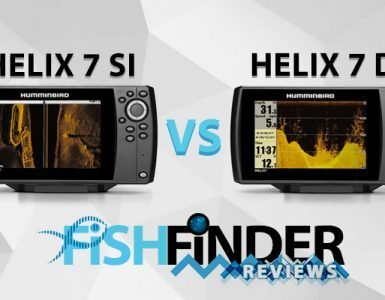 With these, and more features of this fish finder, plus a warranty of 1 year, you have a lot of great options available to you when you use the 688ci HD. It is very easy to use, and the HD display really enables you to get a very clear picture of your surroundings below the boat. 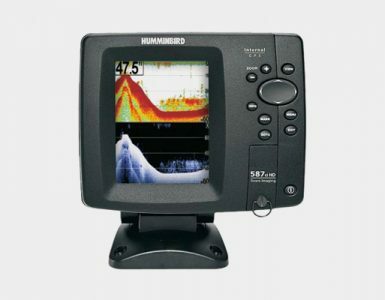 The Humminbird 688ci HD is a good option for those looking for a good quality fish finder.